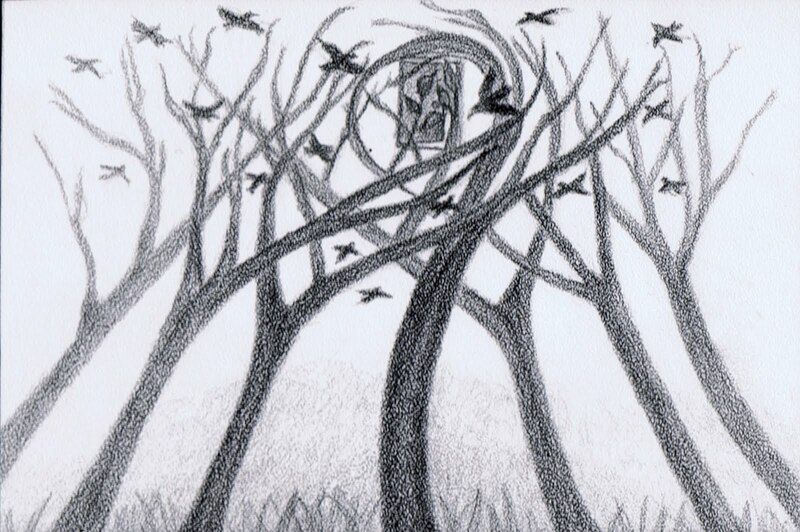 For IF: The crows swarmed around the door, which was a portal to the other dimension. This is a really interesting idea. I kindof cheated by posting the picture I made last night before this prompt was made. Now I might need to make another picture. I think I'm going to steal your idea (I'm just telling you), though I promise it won't look anything like this. Nice one Lynette! Love the angle and the tone!! Cool! really wonderful movement. And crows!! My totem animal, my compadres. hahaha! The word verification is flattery! Well, it's very much deserved! A magic illustration.... and I was sitting 100 cm away from a huge crow on Thursday at Teno mountain on Tenerife/canary island. That was magic, too! I missed last IF post because of my holiday there. Thanks! I hope you got a picture of that crow; they are really hard to get. They always fly when they see my camera. love how you've captured us all with it.